Despite calls for electronic, virtual, digital libraries without walls, the walled variety are still being built, some of them massive. 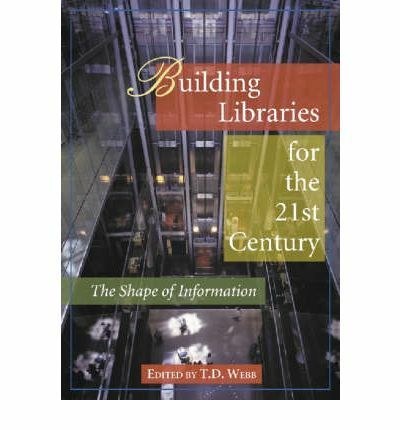 This book explores the reasons for this contradiction by examining several notable new library facilities around the world to see how modern expectations for libraries are being translated into concrete and steel. More and more libraries are looking at change not as a dreaded hazard but as an opportunity that can itself be seized to strengthen the library in the areas of mission, technologies, facilities, funding, and organizational structure. Thirteen libraries are discussed - by a librarian or administrator who worked on the project. Each author writes about the design and building concerns that were particularly relevant to that library: philosophy, political issues, or any other concerns that affected planning, building, and services in the new facility. Introductory and concluding chapters identify underlying values and themes, tying everything together. The unique combinations of issues, constraints, and opportunities show how libraries are planning to fit into the approaching era of virtual information delivery.